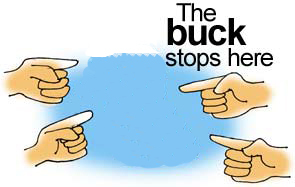 The Buck Stops Here - Guru Security Inc.
Have you ever spent multiple hours on the telephone trying to resolve an issue with a service provider? Being passed from one department to another, feeling frustrated that your time does not seem to have any value. Ever had the feeling dealing with a service provider that is a large faceless Multinational Corporation that no one cares, no one assumes responsibility. That you are not important, you are just a number. At Guru Security Inc. you are working directly with the owner, whether it is sales, service or project management. We feel so strongly about your happiness that we stand behind the best Guarantee in the industry. Our Total Satisfaction Guarantee states that we offer a fully unconditional refund and removal of our equipment from your premises, if for any reason you are unsatisfied with our security system within six months of the installation date. Check out our full Bulletproof Guarantee at https://gurusecurity.ca/guarantee/ Ask your current security supplier if they will honour such a guarantee. Here at Guru Security Inc. we are family owned and operated. I am the “single throat to choke”. Just one call or email is all it takes and by the way we have never had to remove our equipment.